Software applications let smart phone users do a lot with their photographs. Apps such as Snapchat already give users the ability to add dog ears, colorful rainbow tongues and other images onto smart phone photos. Virtual mirrors are a little different. They are designed to let users see what they would look like wearing products that they might want to buy. Some examples are earrings or other jewelry, lipstick and eyeglasses. Snapchat lets users add things to photos. Smart mirrors work using the same principle. These smart mirror applications are gaining popularity among retail businesses, which want to get people into their stores. A smart mirror is simply an app that turns the screen of a smart phone or other mobile device into a mirror, using its camera function. 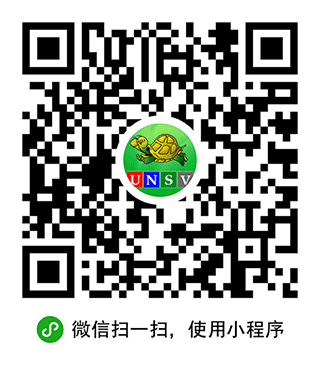 As users look at the image, the app will make it appear as if they are wearing the product. Recently, Johnson demonstrated how an app called Dangle works. The software program lets store customers try on different earrings without touching a single pair. Dangle can be used on a computer tablet. 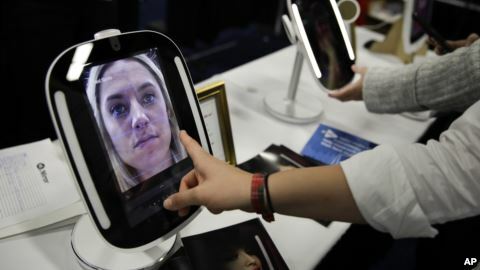 It uses the tablet’s camera and the app’s facial recognition technology to make it appear as if the user is wearing earrings. The digital earrings in the image appear almost real. They move with the user, providing a realistic experience. With Dangle, retailers can show customers all of their earrings in a short period of time — something almost impossible without technology. There are other good reasons to use the app. Trying-on products with the virtual mirror means there is nothing to damage, lose or at risk of being stolen. “In-store jewelry, even costume jewelry, in now quite expensive,” noted Peter Johnson. “This is a way to keep inventory secure, while people are making decisions about what they want to wear,” he said. Virtual mirrors work with another product that takes time and effort to try on: makeup. A company called MemoMi has developed an augmented reality app that lets customers virtually put on makeup. At Neiman Marcus stores, customers can use the app on a mobile device to see how beauty products would look on them. The MemoMi software also is designed to teach users how to use the products. The app can record a beauty care expert putting makeup on a model, along with notes and spoken directions. The recording can then be shared with others on social media. Alec Gefrides is with the American technology company Intel. He said the app can help people use products the way experts suggest and allows them to repeat the process at home. Smart mirror apps are an example of how retail stores are turning to online services inside their stores to attract customers. Online shoppers already expect experiences that are in some ways interactive, easy to use and involve social media. Online shopping also makes it easy to pay for products. A virtual mirror app like Dangle, supporters say, will enable stores to offer a huge number of products with many of the benefits of online shopping. The MemoMi app lets stores collect information about its users. The information can include what products customers like, dislike and what they bought in the past. Many shopping websites already do this. Stores hope that by using customer information, salespeople can make better suggestions to customers and sell more goods. Gefrides believes that stores across the country will improve their businesses as these technologies improve. Tina Trinh reported this story for VOANews.com. Mario Ritter adapted her report for VOA Learning English. George Grow was the editor.